Transform sparse eyebrows into gorgeous and full realistic-looking brows with Dermelect® Revitalite® Brow Transformer. 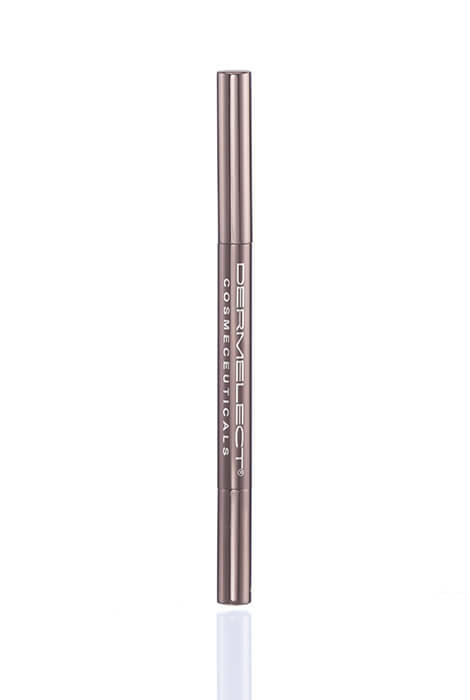 The triangular tipped, retractable pencil draws the tiniest of lines to mimic real brow hairs. The custom built-in spooley brush is created with precise width and firmness to seamlessly blend color for a natural finish. 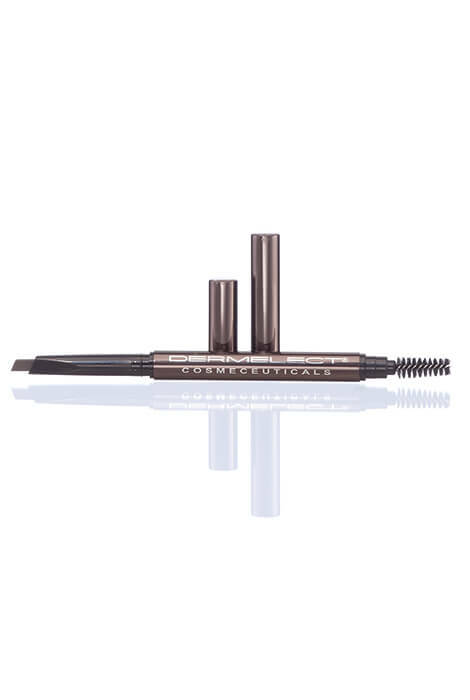 This peptide-infused, waterproof, all-day eyebrow makeup formula creates buildable color that adjusts with pressure applied, achieving a perfect match. Ideal for enhancing both thin and thick brows. Available in two colors that match all hair and skin tones. Even covers gray hairs! How to Achieve the Perfect Brow: Establish the 3 Points of your brow! 1st: Mark the ‘Start’ point of your brow by lining up vertically the Brow Transformer tip with the outer edge of your nose. 2nd: Identify the ‘Arch’ point of your brow by lining up the Brow Transformer tip to the outside corner of your iris to where it meets the brow. 3rd: Find your ‘End’ point by lining up on angle the Brow Transformer tip from the corner edge of your nose to the outer corner of your eye. The Look of Real Brows! With short, precise strokes, fill and feather the hairline with the color tip of the Revitalite Brow Transformer, connecting the above three points. It’s all about pressure- Dermelect Revitalite Brow Transformer adjusts to every hair color simply by how hard you press! Press softer for lighter hair colors or harder for darker tones to achieve desired fullness. IRON OXIDES (CI 77499) ▪ HYDROGENATED SOYBEAN OIL ▪ HYDROGENATED COCO-GLYCERIDES ▪ IRON OXIDES (CI 77492) ▪ HYDROGENATED VEGETABLE OIL ▪ MICA (CI 77019) ▪ OZOKERITE ▪ IRON OXIDES (CI 77491) ▪ TITANIUM DIOXIDE (CI 77891) ▪ SYNTHETIC WAX ▪ CAPRYLIC/CAPRIC/MYRISTIC/STEARIC TRIGLYCERIDE ▪ ACRYLATES/STEARYL ACRYLATE/DIMETHICONE METHACRYLATE COPOLYMER ▪ PHENOXYETHANOL ▪ ETHYLENE/PROPYLENE COPOLYMER ▪ PERSEA GRATISSIMA (AVOCADO) OIL ▪ CERAMIDES ▪ PALMITOYL HEXAPEPTIDE-12. MAY CONTAIN: ULTRAMARINES (CI 77007). Looks like a good brow pencil, see how it works. 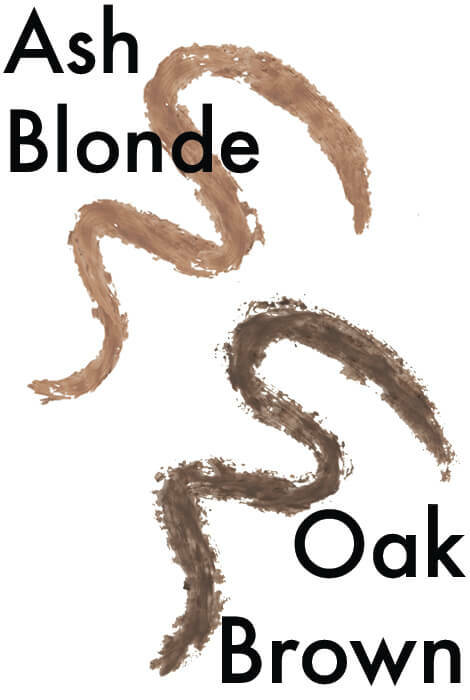 It is one of the few such items that has blonde. Also, it enables me to draw thin lines to mimic typical eyebrow hair.